Īpašas atzīmes Jau ar pirmo uzklāšanas reizi lūpu krāsa piešķir lūpām greznu toni, nodrošina intensīvu mitrināšanu un rūpes. A wardrobe of iconic lipsticks delivering rich and luxurious color in satin and matte finishes. 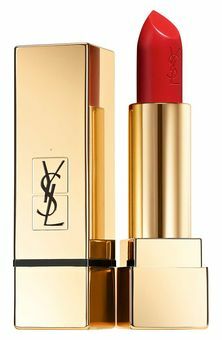 In just one stroke, luxurious and highly pigmented color dresses the lips with intense hydration and antioxidant care. In a signature couture jewel-like packaging, Rouge Pur Couture delivers the promise of edgy style and ultimate feminine strength. Achieve pure color in a satin or matte finish. Hydrospheres and natural extracts provide all-day comfort and hydration.